This is a conversation that happens probably a million or more times a year! Which is in part why there are so many adventure seekers doing stopovers in Iceland, doing these exact same things. The upside, you’ll be amongst good company. The downside, all these attractions will be extremely crowded. I’m in Iceland For a Few Days – What Should I See? I am not outright suggesting you don’t do that tourist circuit. Although of the three days, you could cut out The Golden Circle and do an alternative day trip instead. North to Borganes or east to Vik are both excellent, digestible-sized day trips. Yet, I do want to suggest you consider reaching out to another region of the country and blaze your own trail in Iceland. 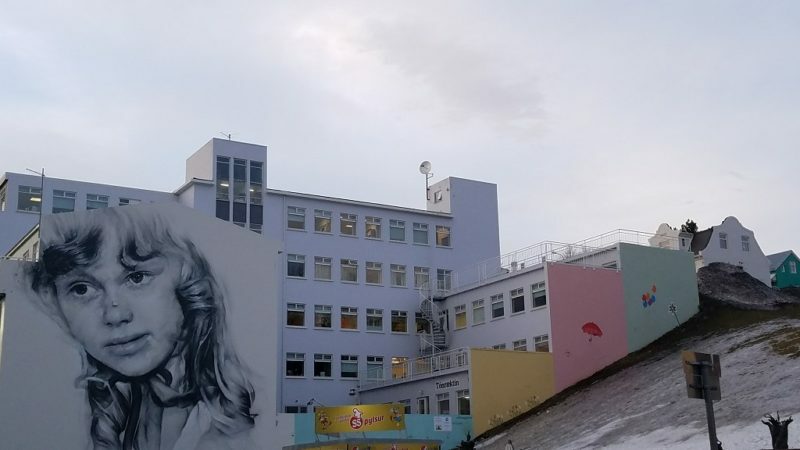 Air Iceland Connect has routes that can bring you straight from Reykjavik to one of six other locations in Iceland. For non-winter travel and a longer visit, many drive the Ring Road with diversions along the way. With winter travel and/or just a few days, it is well worth it to fly to another region and start your explorations there. There are three regions to consider. The Westfjords, which are the least touristed region of Iceland, as the Ring Road does not go through there. East Iceland, which is rich in fjords, farms and hiking trails galore. 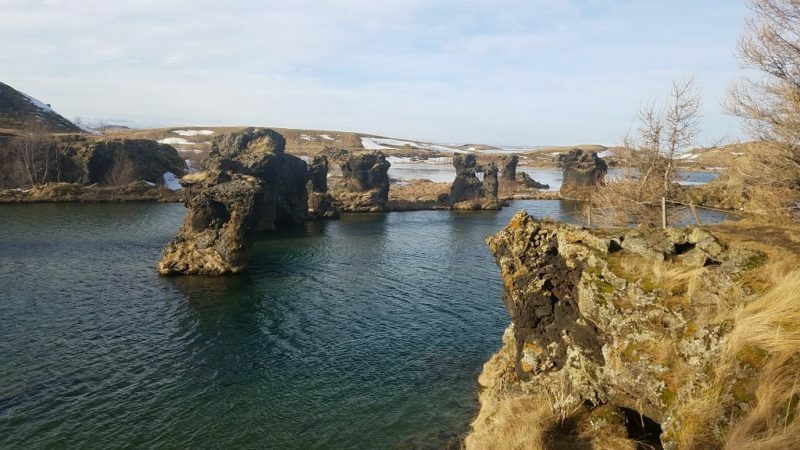 And North Iceland, which actually has four different locations Air Iceland Connect flies to. Akureyri is the hub of Northern Iceland. Of course, you will need to see what routes are operating what days, months, and times. But conceivably, you could fly into one airport, and out of another one. Eventually all roads and air routes lead to Reykjavik. I flew to Akureyri. It took 35 minutes. The eagles’ eye view of the mountains as I arrived was alone worth the price of admission. They were cut off at the top, as if they had been given a massive flat top haircut. They were formed years ago under an ice cap, and henceforth, with such a ceiling, ended up flat. It’s very interesting. Akureyri is the second largest town in Iceland, with a population of about 20,000. While there is nothing absolutely captivating about the town itself, it is a real slice of Icelandic life. You can feel this just by strolling around for the day. Friendly locals. Access to the great outdoors (a ski center, horse farms, parks with miles of hiking trails). And the public swimming pool, Sundlaug Akureyrar, is Akureyri’s version of the place where all Icelanders converge to partake in the national pastime of taking the waters. Allotting one day to checking out Akureyri would fit well within a 3-4 day stopover. 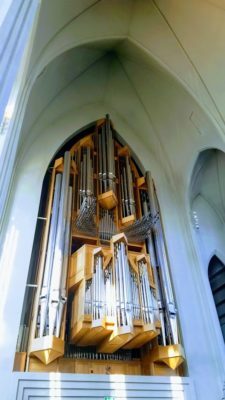 Half a day to actively peek into museums and the church, Akureyrarkirkja. And the second half of the day to do an activity like horseback riding or taking the waters. 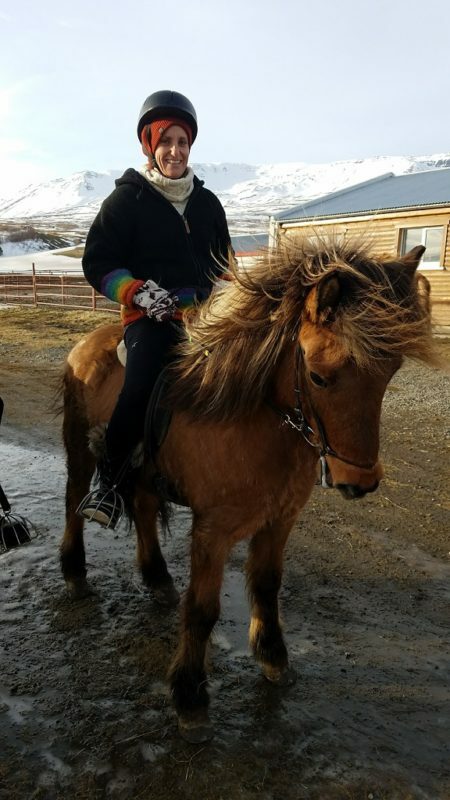 The Icelandic horses are so handsome and even tempered, they were a pleasure to ride, especially for a novice like myself. Sundlaug Akureyrar may be busy when you go, but pretty much with locals or other Icelanders visiting the region. I can embrace this more easily than when places are crowded with tourists. The hot pots and steam room where were I gravitated. Yet there is something for everyone – a pool for laps, a pool for playing around in, and waterslides where the children squeal in delight. I saw babies swimming and 85 year olds swimming, if that helps illustrate my point about the community. I loved the novelty – at least to me – of Icelandic bakeries. 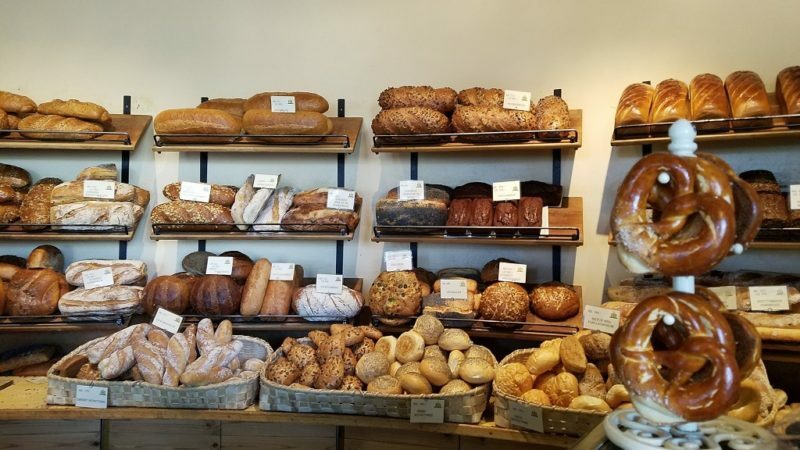 Where I live, there in an emphasis on Italian and French bakeries (which are irresistible too), but I simply have had limited exposure to Scandinavian breads. 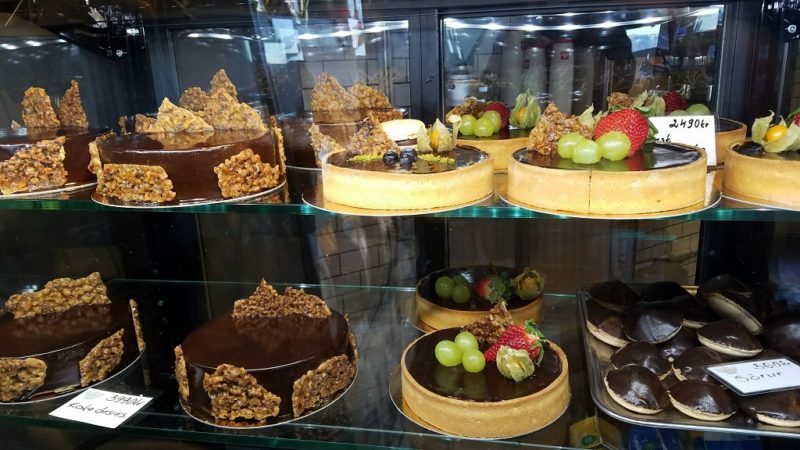 Anyway, Bakery via Bruno will overwhelm you and only in the best way. 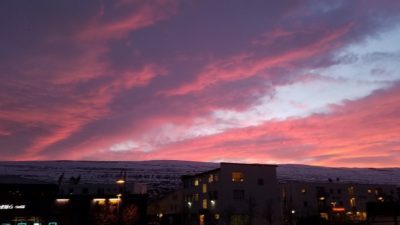 The evening in Akureyri could include a super fresh sushi dinner at Rub 23, (INTERNAL LINK) a show at Hof Cultural and Conference Center, taking a walk along the fjord, or another stroll downtown. A second day in northern Iceland should definitely include a visit to Mývatn. It was definitely one of my highlights in Iceland. 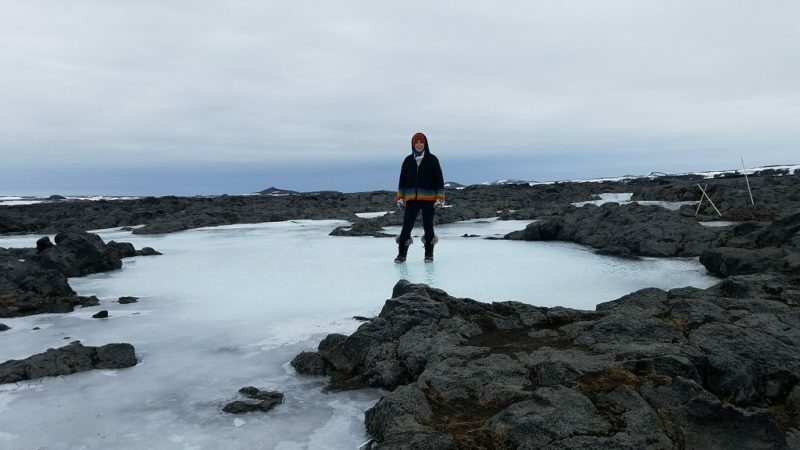 If you are curious about feeling like you are on the moon, with all sorts of strange lava formations as friends, then this is the place for you. And oh, did I mention the lake and geothermal hot springs. I love to start my day with activity and exercise, then reward myself with something relaxing afterwards. Mývatn Region is the perfect place to do just that. Lake Mývatn was frozen while I was there and, let me tell you, the frozen light blue lake was dreamy to gaze at. The lake has a road that goes around it, a total of 36 kilometers. Make sure to drive the loop and experience the lake from all angles. Driving the west side provided the best views, although there were less formal trails to explore. Southern Mývatn has a trail that winds through pseudo craters. Keep your eyes peeled for signs for Skútustaoagígar. No worries, you don’t have to pronounce it to be able to walk around it. These craters looked like someone took an ice cream scoop and just scooped out the middle. They are not large in size, but the number of them and their proximity to each other makes them worthy of a stop. Eastern Mývatn has some of the classic sights. 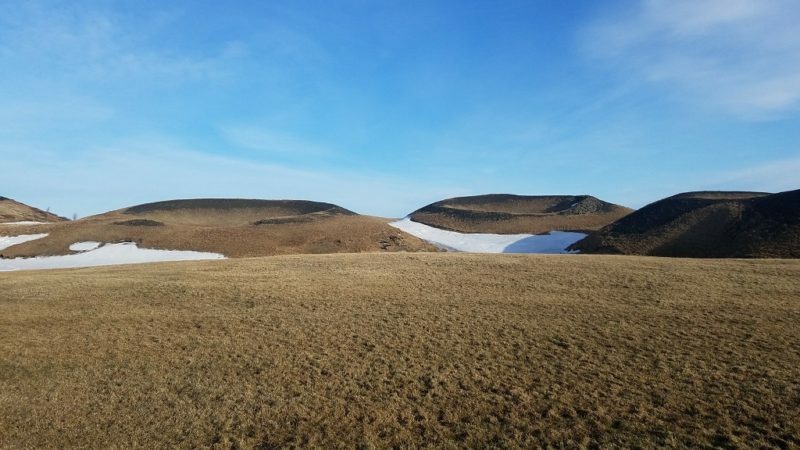 Hverfjall is the royal mountain of the region. I knew this before I read about it and so will you. It’s a crater that stands about 1500 feet high. I was lucky to experience it partially covered in snow. The juxtaposition of streaks and patches of white against the stark lava was captivating. I could not help but keep looking at it. There is a hike to the summit and looking out at Mývatn is the prize. Weaving through paths in Dimmubourgir lava fields will be well worth your time. There are different well marked routes to take and even the more difficult one is still moderate in difficulty. Ah, it’s afternoon. And you earned yourself a trip to Mývatn Nature Baths. They are similar to the Blue Lagoon but less developed! The water is a brighter blue, not milky blue (less silica), but just as warm and easy to float your tensions away. And there are a couple of things that are even better than at the Blue Lagoon. There are shower heads in the pool that shoot water out with tremendous pressure. Just stand underneath and position yourself just right for a neck and back massage. 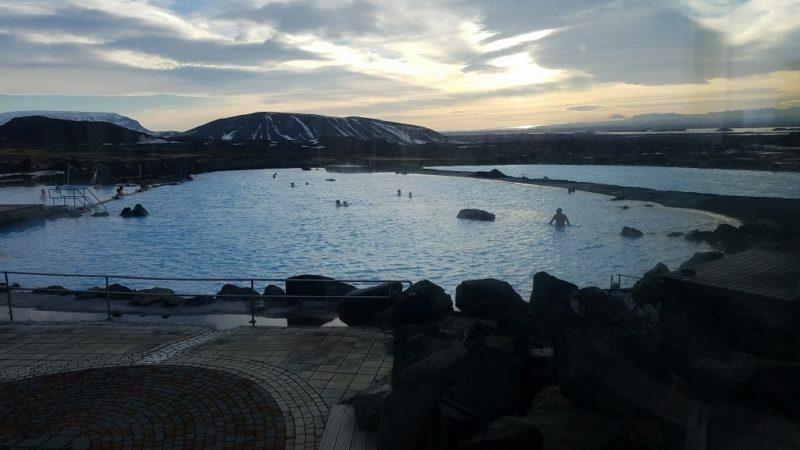 And this pool is at elevation so you can look down at Lake Mývatn and the mountains and lava formations below. It’s like being on top of the world. A third day in northern Iceland has options. Consider the following and go with whatever floats your boat. 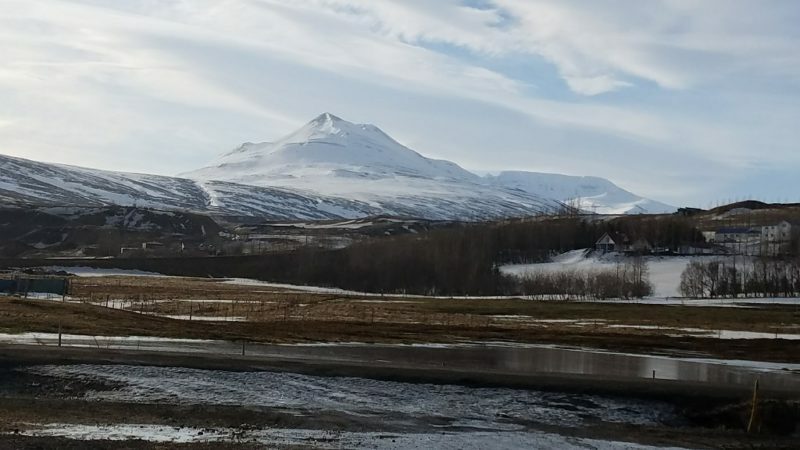 Drive west of Akureyri to the Trollaskagi Peninsula for a day. Villages and museums are spread out amongst the mountains and fjords. If whale watching is up your alley, Husavik is the country’s capital for such. The town has about 2,000 people and is large enough to house museums, a public swimming pool, and some eateries. Vatnajökull National Park North. 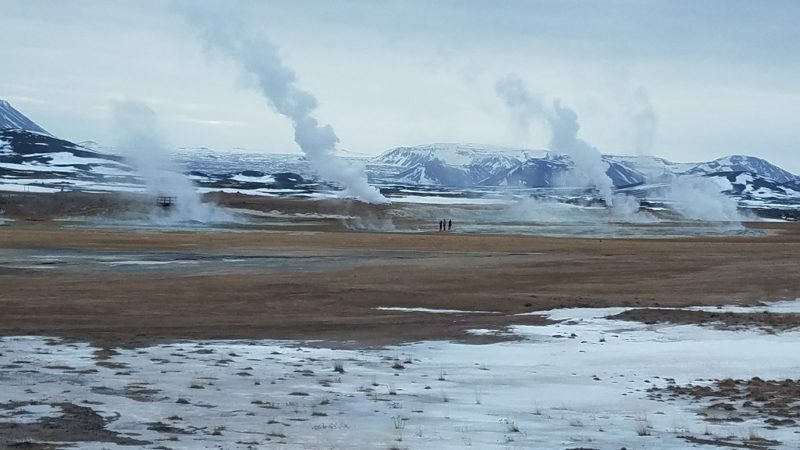 This expansive park spans almost the entire height of Iceland! 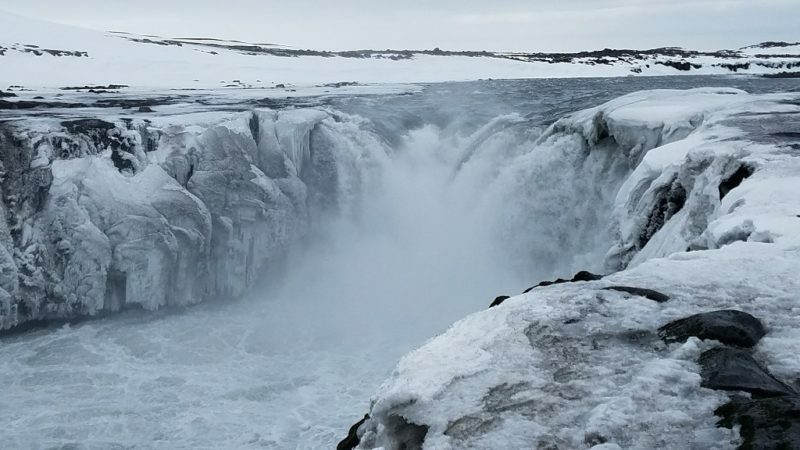 I went in the ice caves on the south shore, and to Dettifoss up north. Check which side roads are open on Iceland’s very useful and up to date website – thanks Iceland! 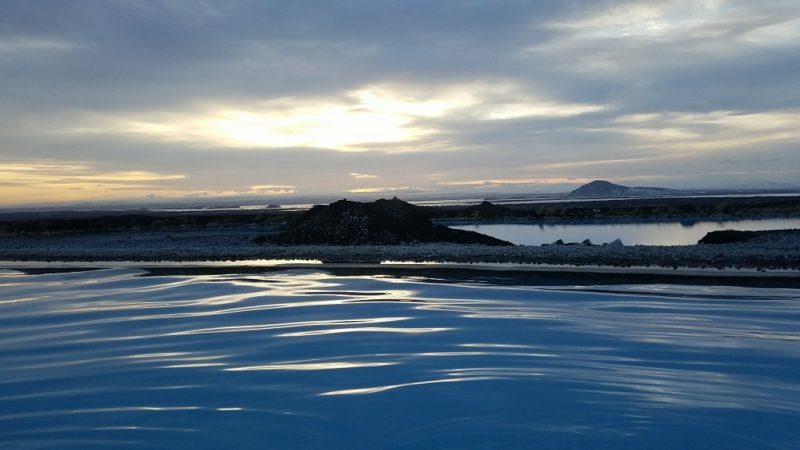 Perhaps an evening soak in Mývatn Nature Baths beckons, if you are so inclined. These are just a few ideas to help you blaze your own trail in Iceland. Please don’t let my experiences limit you. Any given region of Iceland has a few days’ worth of sightseeing and hiking and villages to immerse yourself in. 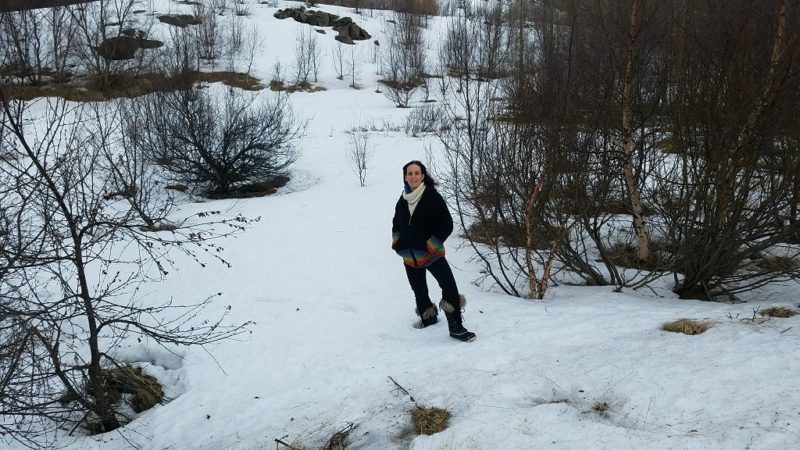 I invite you to venture out beyond Reykjavik and its nearby attractions and discover the lesser traveled regions of Iceland. You will be happy you did.